Where can I check my Argos UK Gift Card balance? You can check your Argos gift card balance in any Argos store or by calling Argos on 0845 640 0884. Where can I spend my Argos Gift Card? Argos has 39 stores in the Republic of Ireland, however it’s not possible to spend UK Argos gift cards there. Where can I buy Argos gift cards? You can purchase Argos gift cards in-store at any Argos store in the UK. Argos gift cards are also available to buy at major supermarkets, including Morrisons and Sainsbury’s. You can buy Argos gift cards up to £500 online from their official website. There is a charge for postage and a free gift wallet with your own message can be included with each order. You can arrange to have the gift card(s) sent straight to the person you want to give it to, and even choose when you want it to arrive. They only deliver cards to the UK. You can also buy e-Gift cards from their official gift card website (https://www.argosgiftcard.co.uk) These are delivered by email straight away so there is no delivery charge. You can also have them sent at a specific date and time, like Christmas or Birthdays, and send them straight to the recipient. 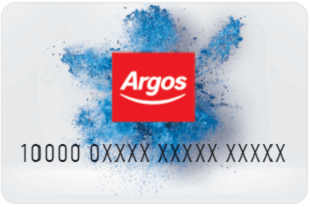 Argos e-Gift cards are available in amounts from £10-£250. 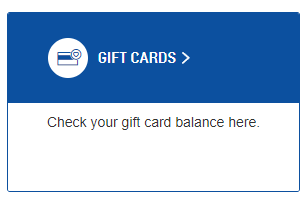 Anything else I should know about Argos gift cards? You can’t currently use an Argos giftcard at the QuickPay payment kiosks in-store, so you’ll need to go to a staffed till to pay.